Jefferson owned several fiddles, a cello, pianoforte, harpsichords, and a cittern guitar, all of which were in constant use at his estate. It was not uncommon for visitors to overhear a family member practicing scales in front of Jefferson’s music stand during the afternoon. 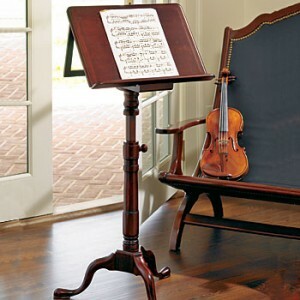 The Shop’s Monticello Music Stand is an elegant replica of the 18th century original seen inside Monticello’s Parlor. 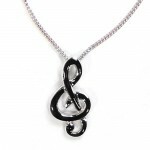 The mahogany reproduction is an elegant nod to Jefferson’s love for music and taste for beautiful furniture. 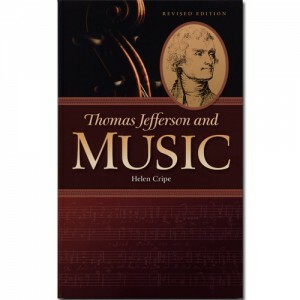 Monticello records indicate that the Jefferson family owned an enormous amount of sheet music. The collections reflect a diverse taste but suggest a strong preference for Italian and French composers, as well as the era’s up-and-coming American composers. 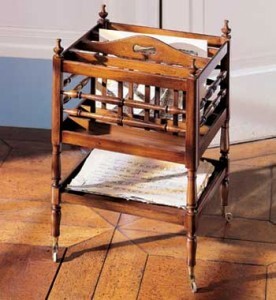 The Monticello Canterbury replicates the portable rack Jefferson and his family used to store sheet music for easy access. Made with the same quality mahogany as the original, the Canterbury is a classic accent piece to any room in the house and allows for storage of your own sheet music, magazines, and papers. 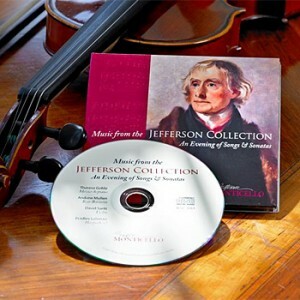 For the true Jeffersonian music experience, check out the Thomas Jefferson Foundation’s Music from the Jefferson Collection: An Evening of Songs and Sonatas. Compiled according to Jefferson’s personal catalogue of music played or heard at Monticello, the CD captures the musical influences and sounds one might have encountered at the third president’s estate. 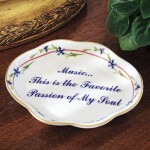 If music is the passion of your soul, check out the Shop’s line of gifts and accessories that celebrate its legacy at Monticello. 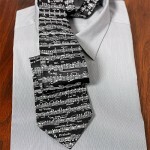 The Sheet Music Necktie and the Treble Clef Necklace are great gifts for a music teacher, friends or family who love music as much as Jefferson did. Have a young composer in the family? 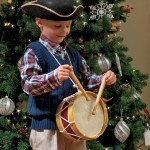 The Wooden Drum is a fun way to inspire a little musician to play. 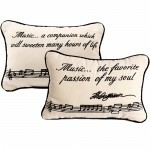 The Shop also features several home accents that celebrate Jefferson’s love for music. 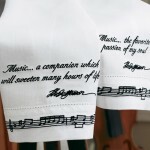 The Monticello Music Pillow and the Monticello Music Towels display two of Jefferson’s famed quotations and make a proud statement in any music-lover’s home.